The temperatures in the Old Pueblo have already dropped below freezing for the first time since last January, which is why now is the time to start thinking about how to use your furnace efficiently this winter. Keep reading for some tips that will help you make the most of your heating system when you need it the most. Before you really start to use your heater, you should schedule a maintenance check with a professional heating and cooling company. The maintenance crew can come to your home and look over the unit to ensure that it is working properly. If they need to make any repairs, they can do it before you really start relying on the furnace to keep you warm this winter. They can also change the filter and clean out the unit so it works as efficiently as possible. Before you leave for work in the morning, you should lower the temperature on the furnace so you do not waste hot air when you do not need it. Lowering the furnace by just a few degrees helps you significantly lower your energy costs and use the furnace even more efficiently. If you notice that your energy bills are much higher than they once were or if your unit is not heating your home as well as it should, it might be time for an upgrade. A newer furnace gives you much more energy efficiency and allows you to find a more comfortable temperature for the interior of your home. 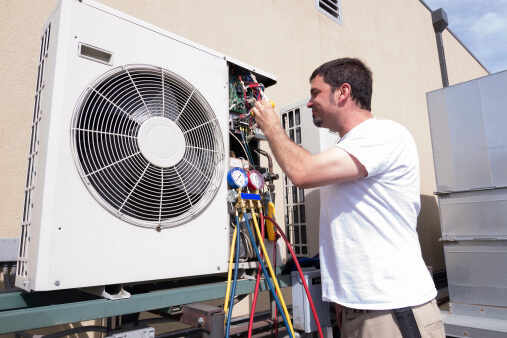 The next time you get your unit serviced, you should talk to the professionals about when you should upgrade to a newer system. Russett Southwest is here to help you with all of your Tucson heating and cooling needs. For more than 60 years, we have provided the services you need to keep you comfortable in your home or office. For more information about our services, visit us online or call (520) 629-9676. If you are tired of reserving a significant portion of your paycheck for your home heating and cooling costs, it might be time for a change. Use this guide to figure out how you can make your home more energy-efficient so you do not have to pay as much for your heating and cooling. 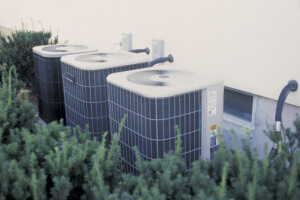 Maintaining your HVAC system helps it work as efficiently as possible. Make sure to schedule maintenance for your unit a few times during the year. This gives the professionals the chance to look at the filters and hoses and make sure everything is running smoothly. Raising or lowering the temperature in your home by just a few degrees can have a big impact on your overall heating and cooling costs. Talk to the HVAC professional about the best temperature ranges to use to ensure that you are not wasting unnecessary energy and money. A small draft in your home lets the hot and cold air that you pay for sneak out the windows and doors. Try to walk around your home and seal up any drafty areas to avoid paying more than you should. You might also want to improve the insulation of your home, especially if it is an older structure. This helps you utilize the HVAC system as efficiently as possible. Quality window treatments like drapes, curtains, or shades help you make the most of your interior heating and cooling. Leave the window treatments closed during the hottest part of the day during the summer so you do not have to spend as much to cool your home. You should also try to leave them open during the winter to let the sun heat your interior naturally. At Russett Southwest, we want to help you get the most of your home heating and cooling. With regular maintenance and repair services, we give you the tools you need to lower your utility costs. To learn more about our services, visit us online or call (520) 629-9676.